The above video is an excellent introduction to the gambler’s fallacy. This is the misconception that prior outcomes will have an effect on subsequent independent events. The classic example for this is the gambler who watches a run of 9 blacks on a roulette wheel with only red and black, and rushes to place all his money on red. He is sure that red must come up – after all the probability of a run of 10 blacks in a row is 1/1024. However, because the prior outcomes have no influence on the next spin actually the probability remains at 1/2. -$1 x 20/38 represents our expected losses. Therefore the strategy of always betting $1 on red has an EV of -2/38. This means that on average we would expect to lose about 5% of our money every stake. Expected value can be used by gamblers to work out which games are most balanced in their favour – and in games of skill like poker, top players will have positive EV from every hand. Blackjack players can achieve positive EV by counting cards (not allowed in casinos) – and so casino bosses will actually monitor the long term fortunes of players to see who may be using this technique. Understanding expected value also helps maximise winnings. 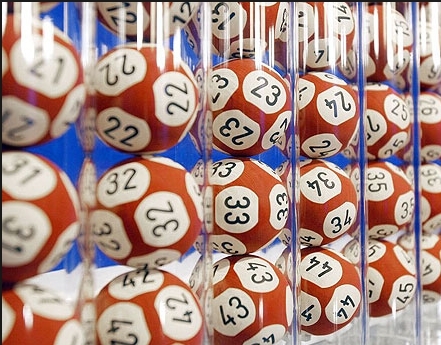 Say 2 people both enter the lottery – one chooses 1,2,3,4,5,6 and the other a randomly chosen combination. Both tickets have exactly the same probability of winning (about 1 in 14 million in the UK) – but both have very different EV. The randomly chosen combination will likely be the only such combination chosen – whereas a staggering 10,000 people choose 1,2,3,4,5,6 each week. So whilst both tickets are equally likely to win, the random combination still has an EV 10,000 times higher than the consecutive numbers. Incidentally it’s worth watching Derren Brown (above). Filmed under controlled conditions with no camera trickery he is still able to toss a coin 10 times and get heads each time. The question is, how is this possible? The answer – that this short clip was taken from 9 hours of solid filming is quite illuminating about our susceptibility to be manipulated with probability and statistics. This particular technique is called data mining (where multiple trials are conducted and then only a small portion of those trials are honed in on to show patterns) and is an easy statistical manipulation of scientific and medical investigations. Premier League Finances – Debt and Wages. An investigation into the finances of Premier League clubs. This is an important warning to my friends. This is an important warning to my friends who gamble.